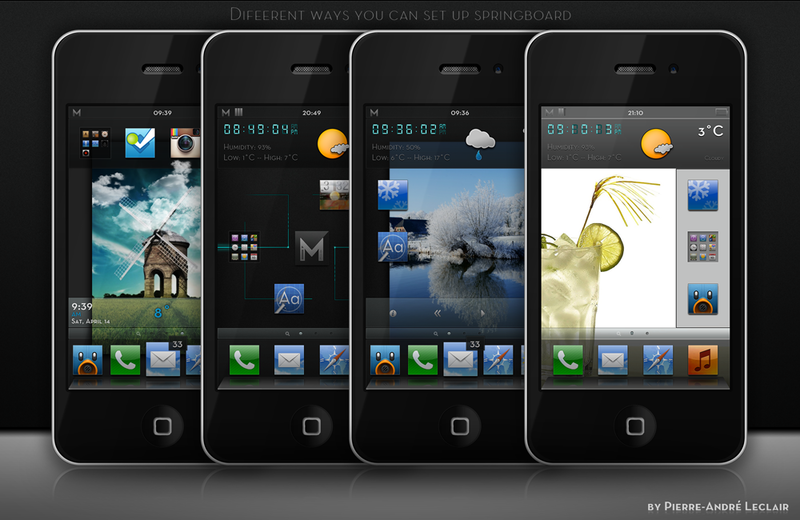 iMatte v5 HD will certainly be a theme remembered for a long time. There is 5 months in the making (full-time work, I’m dedicated 100% to this, that is making the theme and supporting it). 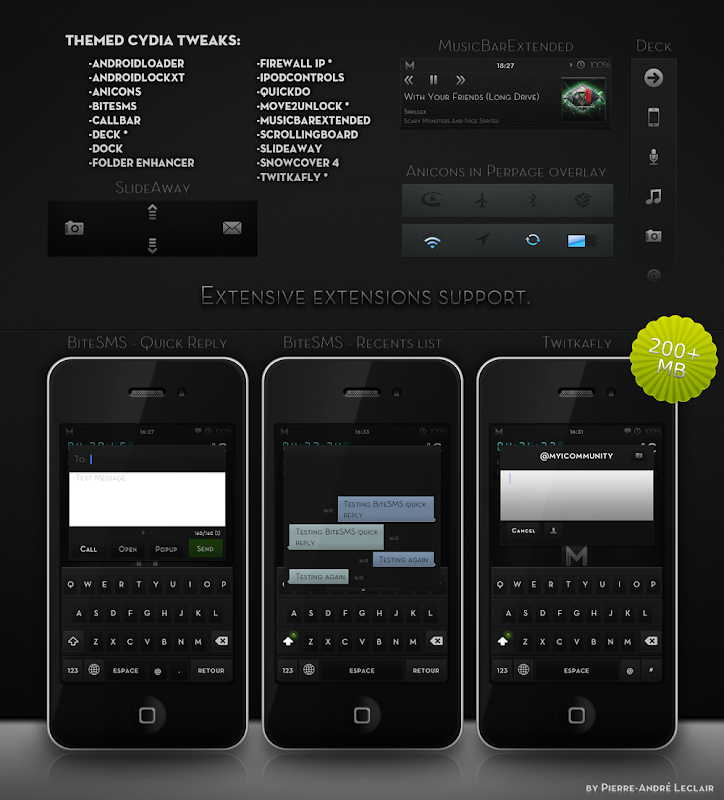 I first made a complete version, with ColorKeyboard, SBSettings, etc, was going to do all the extensions I support, then I realized it wasn’t up to my expectations. I threw everything I had to the garbage bin, and restarted from scratch, and here is the result. How can I describe iMatte without having you read this for half an hour? Impossible, so I’ll do my best! 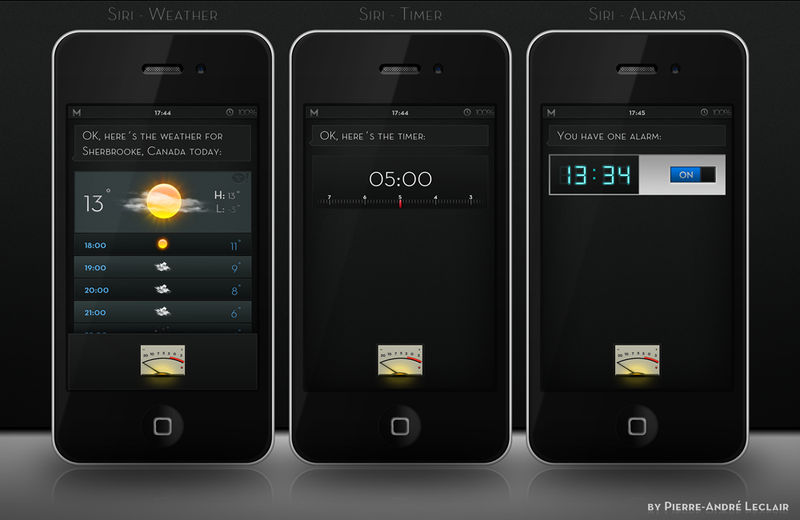 Technically, you can run iMatte v5 HD without any extra extension, that is beside Winterboard and it’s dependencies. 45(!! 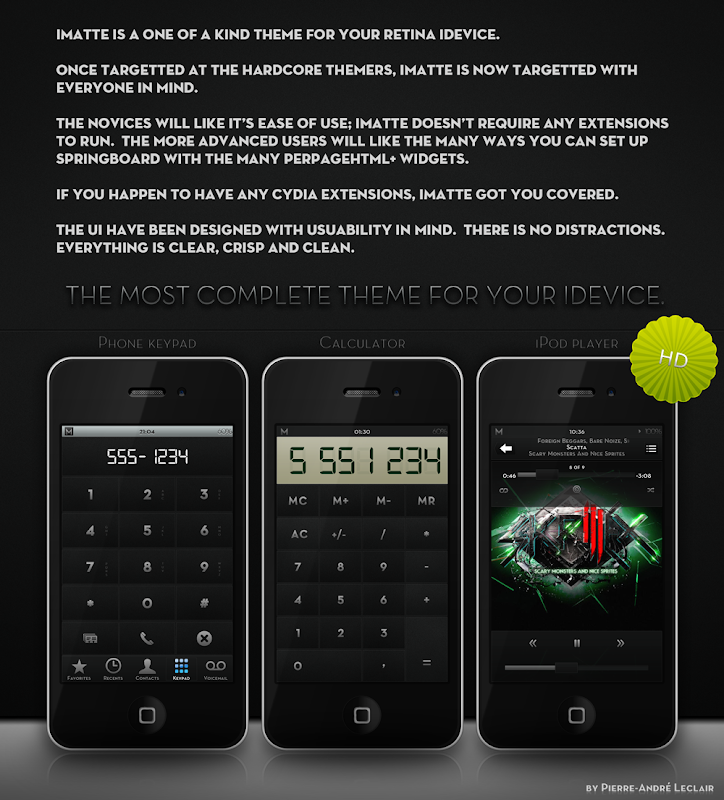 yes you heard right) different sets of custom made fabric icons with glyphs. Different colors, ribbons style and sizes, and without ribbons. For now, the sets includes 59 icons. 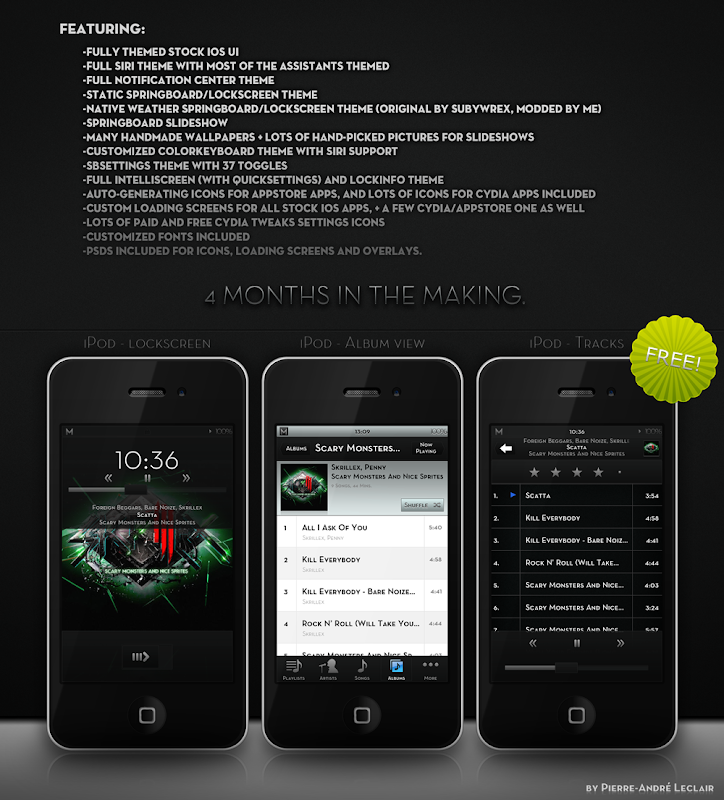 Custom loading screens for all stock iOS apps, + a few Cydia/AppStore one as well. A fallback loading screen takes care of the rest. PSDs included for icons, loading screens and overlays and most of the ui effects, to allow you create anything that will look great with iMatte. 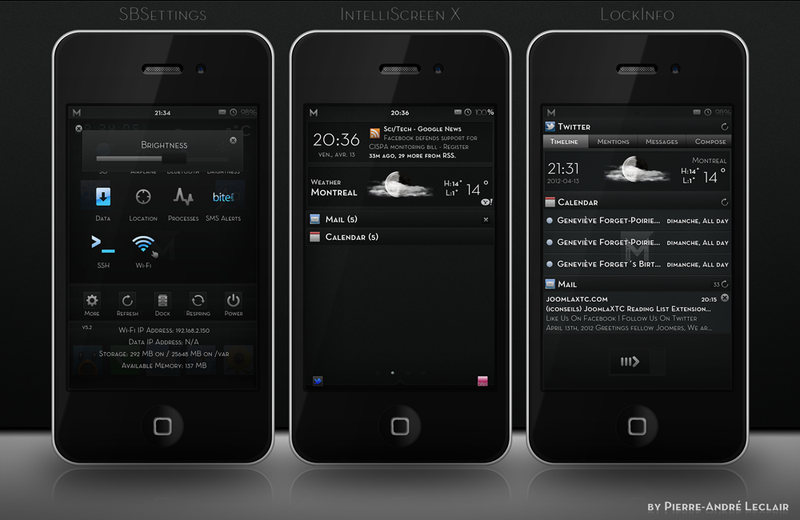 There is so much more, Tweetbot, WhatsApp, Instagram and Foursquare are also themed. Happy that you asked! Sure there is! 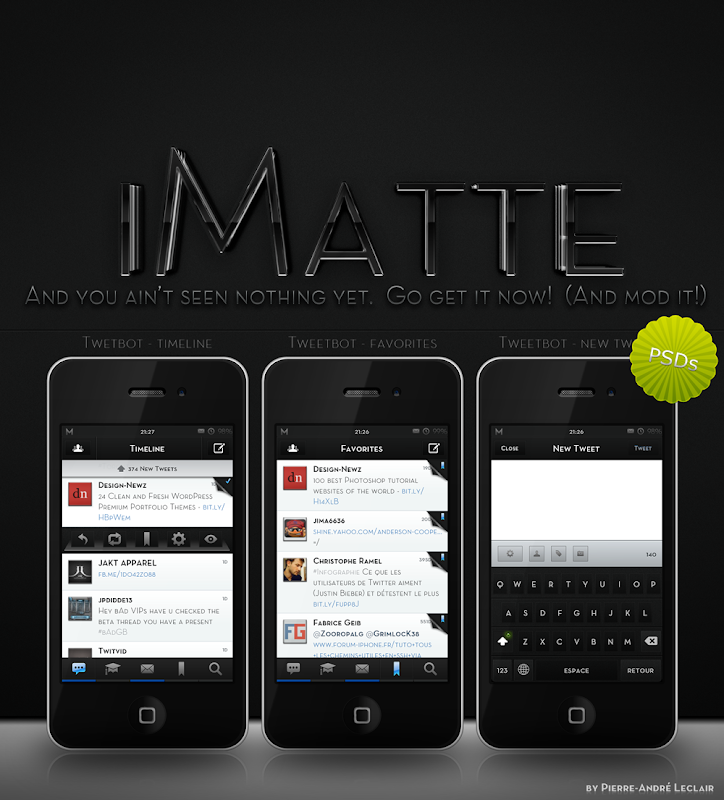 By now, you should already be downloading and installing iMatte! 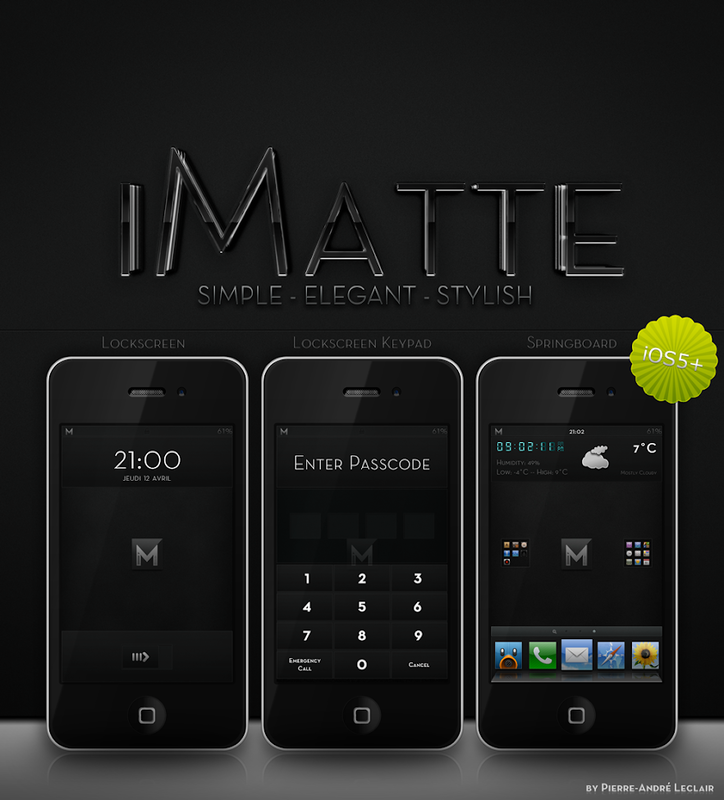 *** TO ALL MODDERS, if you need anything that I didn’t included in the package to create a mod for iMatte, let me know. I will provide you with whatever you need to do your thing. Thank you much! I’d like to thank @Zooropalg, this guy may have never released a theme of his own, but he certainly contributed to the success of many themes, iMatte included. If you would ever leave buddy, you would be dearly missed by many. 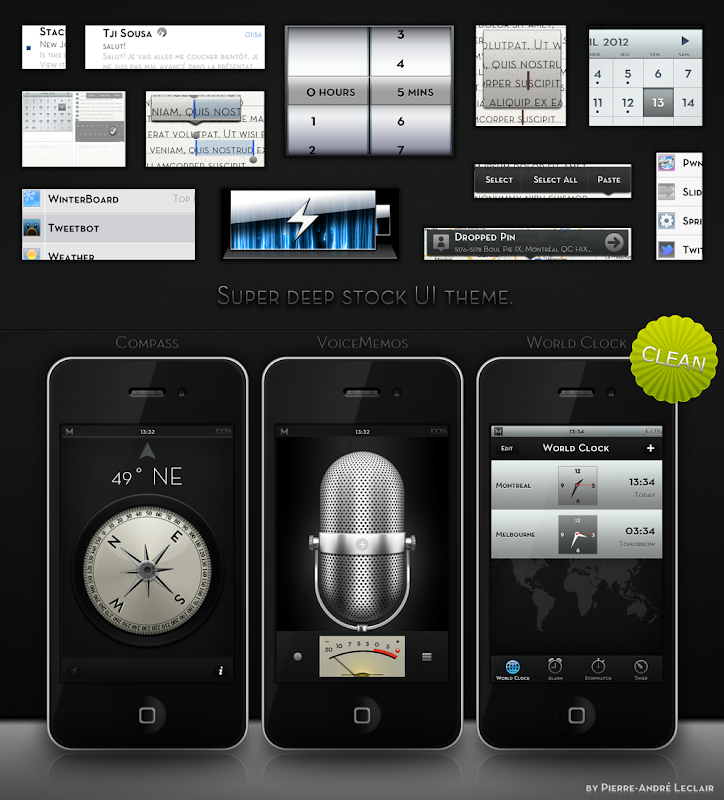 I’m sure if you ever release a theme, it will be a monster success! Hope you all enjoy iMatte as much as I enjoyed making it!